I tried Golden Milk for the first time on a whim when the vibrant-colored drink caught my eye at a local coffee shop. The glass was $12, but its magical properties lured me in immediately. (Touché, clever packaging designer) The taste reminded me of chai, but… warmer? Drinking it was a soothing, comforting experience that I decided I needed to learn how recreate (without the $12/glass cost). 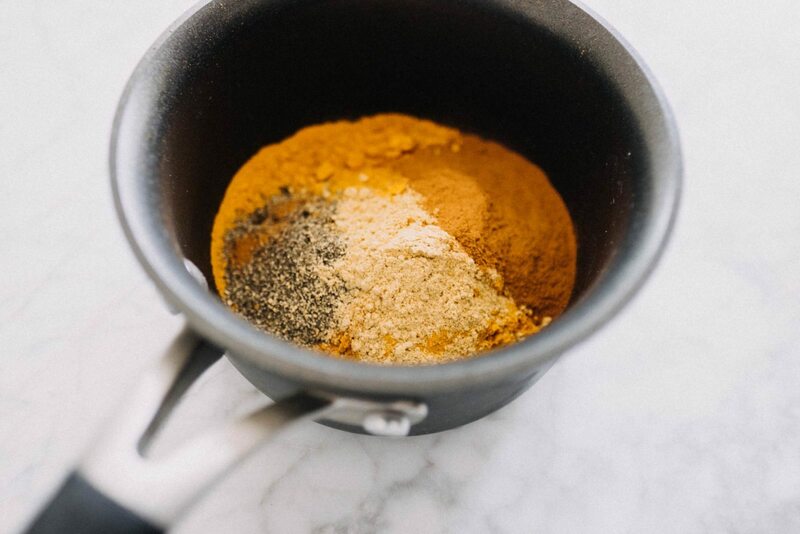 After researching recipes, I bought the ingredients to create a turmeric paste that could easily be mixed into Golden Milk every day. The process was somewhat arduous, but yielded a mason jar full of paste that will probably last me at least a month. 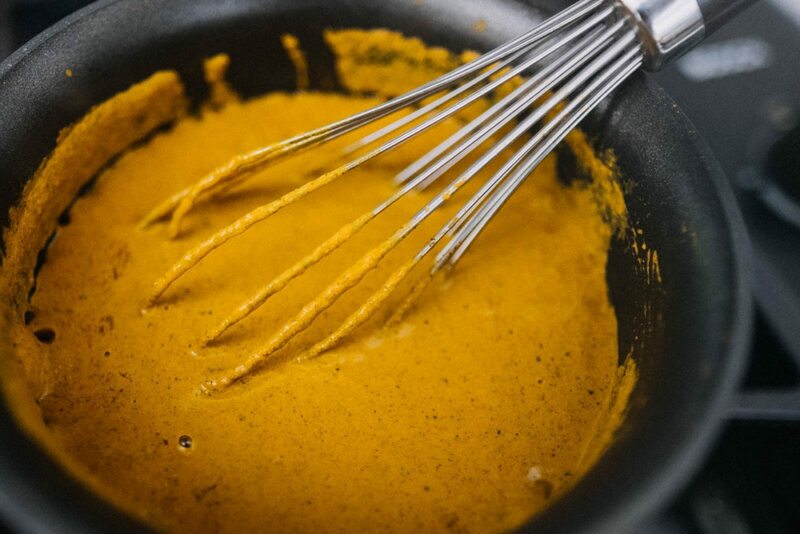 It also forced me to be patient, requiring me to whisk the paste continuously in order to rid the turmeric of its bitterness. Too often I’m so tired from work or blogging, that I look for the “easy” options when it comes to food and drink. Uber eats and Doordash sound like attractive alternatives to prepping meals, cooking, and cleaning every night. 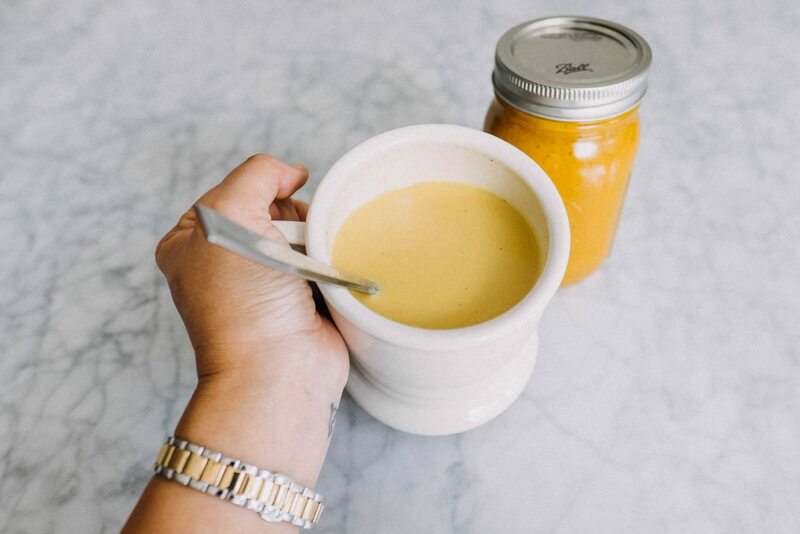 As I make strides towards a healthier lifestyle and diet, the practice of making Golden Milk reminds me to breathe and enjoy fleeting moments of calm when I can. 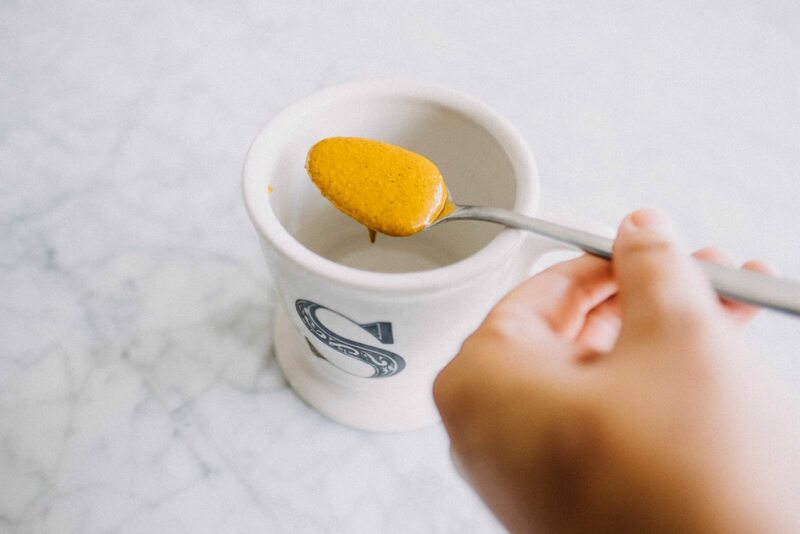 Create golden milk paste by combining all ingredients except for the raw honey, and heat over medium heat while whisking frequently. Bring mixture to a boil and whisk constantly for 10 minutes. Remove saucepan from heat and allow mixture to cool for 15 minutes. 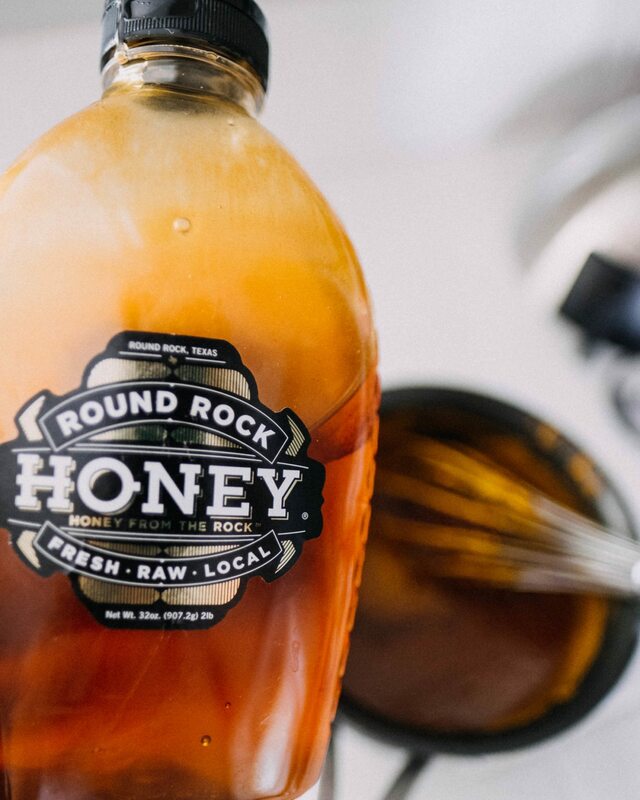 Add raw honey to the mixture and combine with whisk. 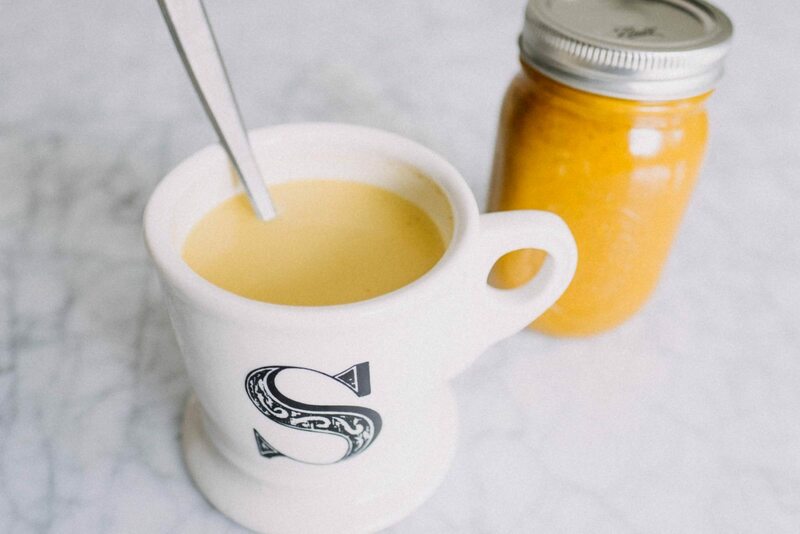 Store golden milk turmeric paste in a glass jar and refrigerate. 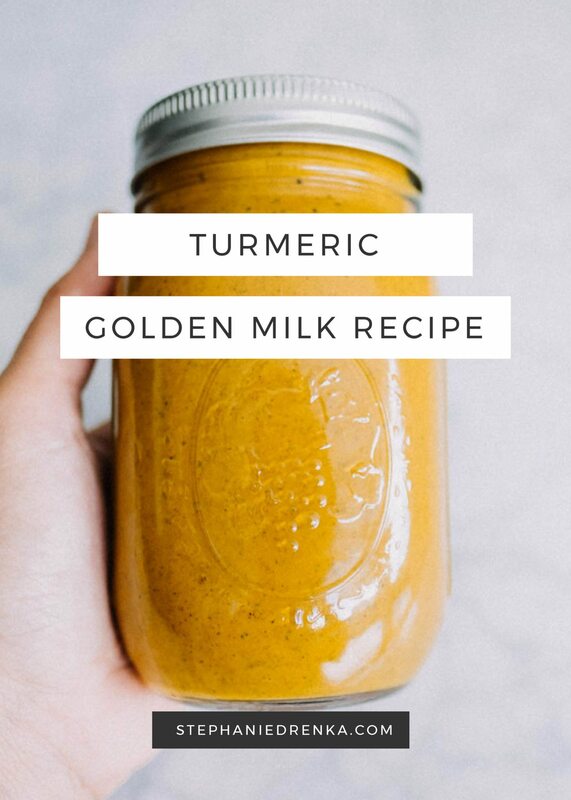 For Golden Milk, add a teaspoon of turmeric paste to a glass of milk (hot or cold) and stir. Add honey, agave nectar, or other sweetener to taste. Have you tried golden milk before? Do you love it as much as I do? 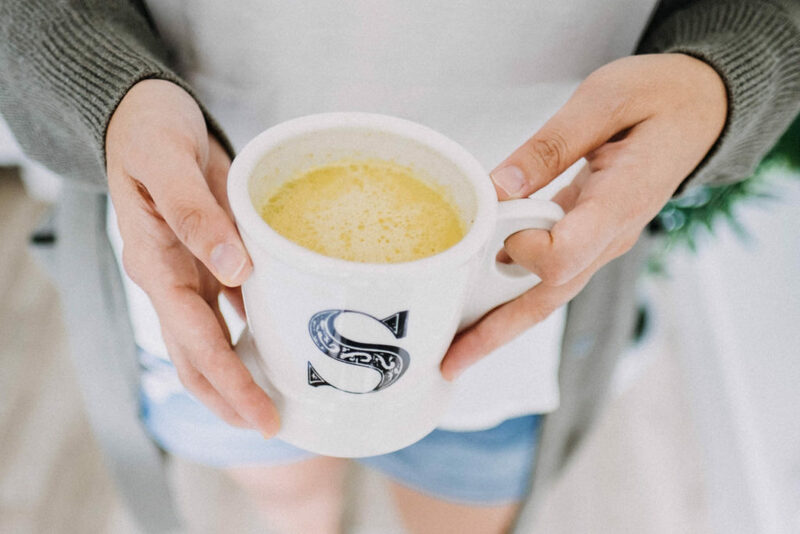 Leave a comment with one benefit you’ve noticed since drinking golden milk. Cheers! Golden Milk is my fave! This recipe version sounds fantastic and I am looking forward to trying it soon.